I can't believe that it's been around four months since my last makeup inspiration post because I'm on Pinterest all the time, and these are some of my favorite posts to do! I'm going to be doing a fashion one as well, so come back in a few days for that! This just screams winter makeup to me because during the winter, I love going for a bolder lip and barely there eyes! With that being said, I love the smudgy liner along the lower lashline and how the eyeshadow still has definition! This is just a basic neutral eye, but I thought it was so stunning and I needed to share! This is definitely a "going out" look, but winter is the season of parties so this could be really awesome! 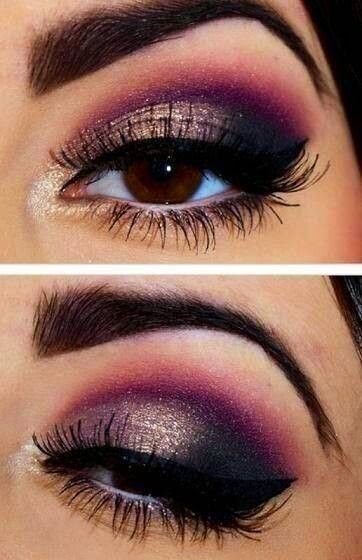 This is probably the most "out there" look, but I love the berry outline around the edge of the smokey eye. It adds a really cool pop of color, but I think it'd look more festive in a burgundy red shade! I hope that you enjoyed this makeup inspiration post, and don't forget to follow me on Pinterest if you aren't already! Let me know in the comments what your favorite look of the three is (mines is definitely the first one) because I'm a little curious right now! These makeup looks are just too gorgeous ! I love the smokey eyes.. I'm a big fan of the first one too, Sisi. I feel like I'm finally finding a look I'm most drawn to and that's basic eyes and bold or bright lips, so this is right up my alley! yeah! I've been loving the basic eyes and bold lips too and I love how it's a lot faster to do than an intense eye! I love them too! 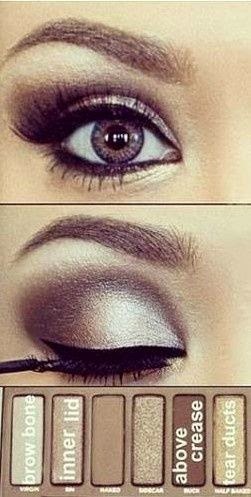 the last smokey eye is so gorgeous! I really want to start playing with color in my eye looks this year too! thank you!!! I'll follow you back! 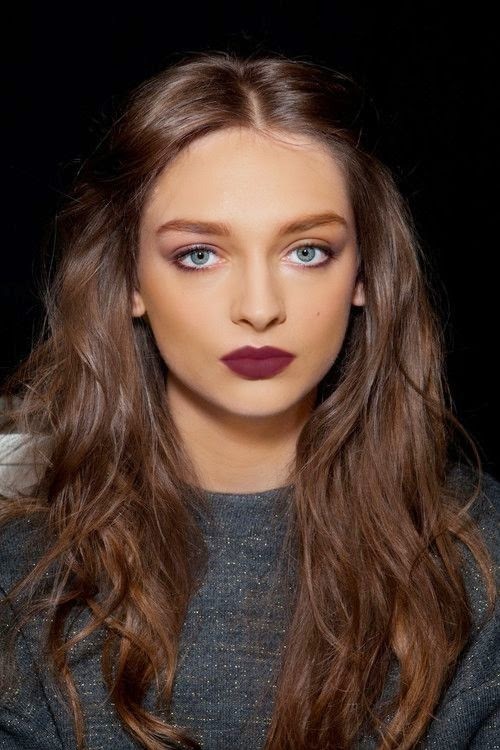 I love having dark lips and neutral eyes because it looks great and is so easy to do!